After having announced the Moto G6 series in Brazil back in April, Lenovo launched some of those devices in India a few weeks later. While the company launched the Moto G6 and the Moto G6 Play in the country in June, the G6 Plus remained conspicuous by its absence. Now, however, the company seems all set to launch the device in the country. 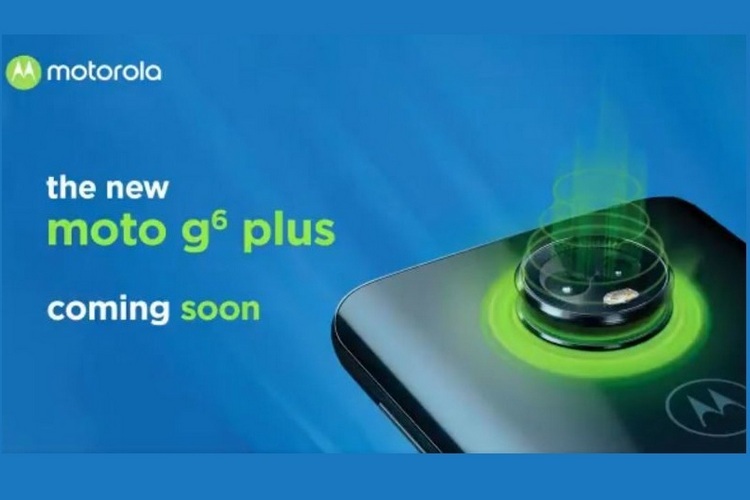 The Motorola India Twitter handle this week revealed that the Moto G6 Plus will soon be available in the country, and posted a 16-second teaser video detailing some of the attributes of the device, including the supposed AI smarts of its camera. While the post doesn’t mention the exact ETA, it probably won’t be long before it’s available in India. The Moto G6 Plus is an upper mid-range smartphone that features a 5.93-inch full-HD+ (1080×2160 pixels) display with an 18:9 aspect ratio. The device is powered by the Snapdragon 630 SoC, and is offered with 4GB of RAM and 64GB of storage. Imaging duties on the phone are taken care of by a dual-camera setup (12MP + 5MP) on the rear and a single 8MP sensor on the front. The device comes with a 3,200mAh battery with support for Motorola’s TurboPower fast-charging technology. There’s no word on how the company will price the device in the country, but given that the ZenFone 5Z can be bought at an effective price of Rs. 26,999 right now (thanks to a flat Rs. 3,000 discount for ICICI card users), the European price of €299 (around Rs. 24,400) will be a non-starter from the get-go. While the Moto G6 price in India starts at Rs. 13,999 for the 3GB+32GB variant, the G6 Play is available for Rs. 11,999 for the same amount of RAM and storage. The devices compete with the Redmi Note 5/5 Pro and the ZenFone Max Pro M1, all of which are among the best-selling handsets in the country this year.